The necessity to deal with change has never been greater. Organisational survival depends upon it. Yet, far more than half of all change projects fail, with expensive consequences. 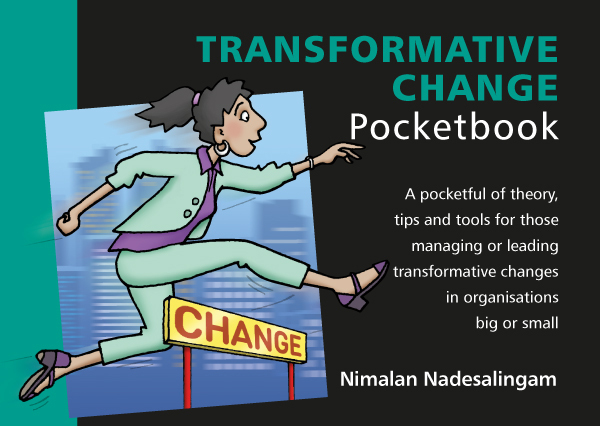 The Transformative Change Pocketbook equips managers and leaders with the essentials to deliver organisational change and transformation, either working independently or through aligning a team of individual experts to work productively together. The book is structured around a model, ‘the 7 C’s of Change’, that examines in detail the steps to be taken in each of the key stages of a change journey. Clarifying and Co-ordinating the change programme come first, followed by building Capability, gaining Commitment and creating Change Champions. Communicating the change and Cementing it (making it stick) complete the journey. Teams working on a change project may find they have to address the stages in the order of their own priority and there are self-diagnostic tools to help in assessing this priority and evaluating progress against each of the ‘7 C’s’.